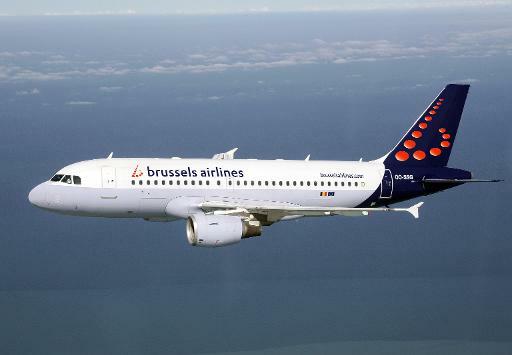 Brussels (AFP) – The European Union’s executive branch on Wednesday proposed taxing airlines for emissions made while crossing European airspace, revising a controversial plan the EU had to back down from last year. Under the new European Commission proposal, airlines using EU airspace could be subject to a tax for air-polluting carbon emissions on the portion of a flight that crosses the European Economic Area (EEA). “The European Union has reduced greenhouse gas emissions considerably, and all the economic sectors are contributing to these efforts. The aviation sector also has to contribute, as aviation emission are increasing fast — doubling since 1990,” said EU Climate Commissioner Connie Hedegaard in a statement. The new proposal is an amended version of the EU’s ill-fated CO2 Emissions Trading Scheme (ETS) for intercontinental flights, which the EU suspended last year after a flurry of protests from emerging countries, airlines and aircraft builders that raised fears of a trade war. Under the former scheme, flights through EU airspace, wherever they originated, were required to buy pollution credits to cover 15 percent of their CO2 emissions for the entire flight, wherever it originated. In the new proposal, the tax would apply only to the part of the flight crossing the EEA — the 28 EU member states plus Norway and Iceland. The announcement of the amended plan comes after the UN’s International Civil Aviation Organisation (ICAO) agreed earlier this month to regulate the industry’s greenhouse gas emissions but gave itself until 2020 to work out the details. The EU’s new plan would apply from the beginning of 2014 until the ICAO regulations take effect, the European Commission said. “With this proposal, Europe is taking the responsibility to reduce emissions within its own airspace until the global measure begins,” said Hedegaard. The plan, which has to receive the backing of the EU’s member states and the European Parliament, risks reigniting the standoff between the EU and countries such as China, India and Russia that do not want the tax imposed on their airlines. Flights to and from developing countries that generate less than one percent of global aviation emissions would receive a full exemption.